The election of the most left-wing Labour Party Leader since 1945, followed by the Party's third consecutive general election defeat and the ongoing cultural divisions around Brexit present an ideal opportunity for a thorough re-evaluation of the state of the Party within its broader ideological and historical context. This second edition of this highly respected book analyses the current developments and places them in their historical setting through a clear three-part framework of Ideological Positions, Struggles and Commentaries. 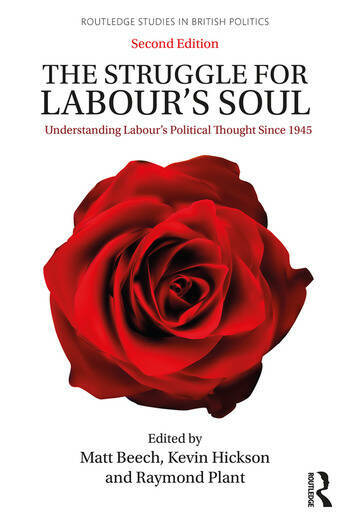 Thoroughly updated and featuring contributions by leading academics and politicians, it continues to represent one of the most ground-breaking and thorough analyses of Labour's political thought in a generation and will be of key interest to scholars, students and observers of British Politics, British History, Party Politics, and the Labour Party. Matt Beech is Reader in Politics and founding Director of the Centre for British Politics at the University of Hull, UK. He is Senior Fellow in the Institute of European Studies at UC Berkeley and a Fellow of the Royal Historical Society. Kevin Hickson is Senior Lecturer in British Politics at the University of Liverpool, UK. He is a Fellow of the Royal Historical Society. Raymond Plant has been a Labour Peer since 1992 and was Master of St. Catherine's College, Oxford between 1994 and 2000. He has also held professorial appointments at King's College London and the University of Southampton, UK.